Microsoft Dynamics AX - Turnkey Technologies, Inc.
Microsoft Dynamics AX (now called Microsoft Dynamics 365 for Finance and Operations) is Microsoft's most robust business solution for enterprises. Dynamics 365 provides a comprehensive finance, manufacturing and retail solution that supports global operations, complex financial structures and extensive business processes. Now fully available both in the cloud and on-premise, Dynamics 365 provides deep and reliable ERP while remaining easy-to-use and helping you manage organizational risk. Right out-of-the-box, Dynamics 365 provides enhances functionality for manufacturing, distribution, retail, service and public sector industries, but is easily customized to support the business processes of any industry.  Microsoft Dynamics 365 for Finance and Operations is a comprehensive business management solution that seamlessly connects with Sales, Customer Service, Field Service, Project Service Automation, Marketing, and any additional apps you may need through AppSource. Streamline your business processes, get complete business visibility and evolve on your terms with purpose-built applications and extensions that are always seamlessly integrated. Dynamics 365 Enterprise edition let's you choose the apps you need with plans to meet your specific business requirements: Unified Operations, Customer Engagement, or the full Dynamics 365 plan. What's New in Microsoft Dynamics 365? Now fully available in the Azure cloud, private cloud, or on-premise, AX provides organizations with complete scalability and workforce flexibility. The new streamlined and intuitive user experience enables users to navigate more efficiently and with less clicks. Includes enhancements to functionality in manufacturing, supply chain management, retail, and warehouse management. Includes enhancements in financial management and human capital management to increase the efficiency of administrative and financial processes. 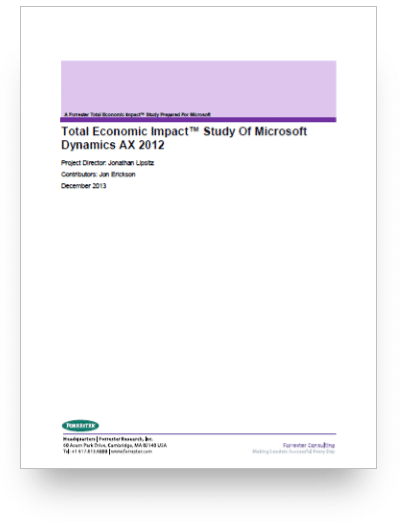 This free, independent study by Forrester Research provides a complete analysis of Microsoft Dynamics AX 2012. In it, you'll find easy-to-understand research on the economic impact that Microsoft Dynamics AX 2012 has on actual organizations. Findings are based solely on Forrester's conducted research, and are not influenced by Microsoft. Visibility, agility and flexibility are key differentiators between today's manufacturers. Microsoft is empowering manufacturers to improve their speed of doing business through connected operations, driving business success today and into the future.